A journey through the past and present of a little-known area of south-west France. Explores the people, places and events that shaped a land once too important to ignore. 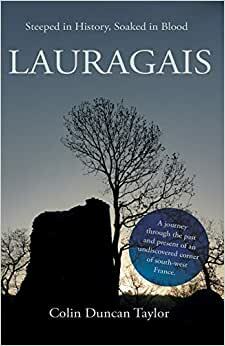 A whole library has been written about the Lauragais in French, but virtually nothing in English. On the autoroute, a journey through the Lauragais will take you three-quarters of an hour, but all you will see are tantalising glimpses of gorgeous countryside and distant signs of human habitation. In this book, the author takes you on a more leisurely trip through time in a land that is endearingly modest about its illustrious past. Colin Duncan Taylor has had a life-long passion with France - its language, its culture and its history. He has been exploring and living in the Lauragais for nearly twenty years. Before devoting himself to writing, his career included spells as a naval officer, management consultant and business owner.